Lighting design is a collaboration between aesthetics and the physics of light. As lighting designers, we help define the architectural environment and provide the often subliminal triggers which enhance how people interact with the space or items within the space. The integrated and collaborative approach we take to lighting design and engineering means we can take your vision, help guide the design, and give you options for how to make it a reality. At the end of the design work, we provide the details and direction to make the electrical systems work in the building, which includes branch circuiting, lighting, controls, and more. Innovative A/V Systems engage users to create memorable, emotional experiences within the built environment. AE Design is able to deliver immersive and inspiring sound and video systems for spaces tall and small. AE Design is highly experienced at designing state-of-the-art theatrical systems for performing arts venues. 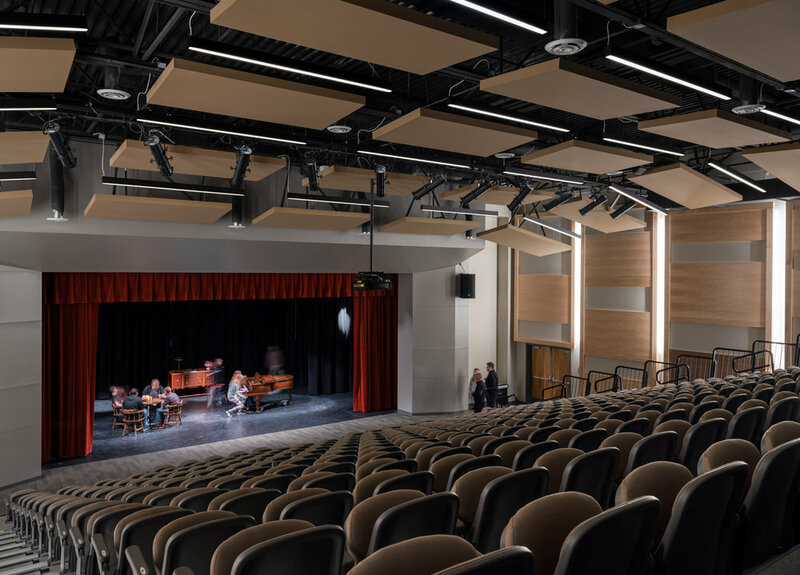 Our designers understand the demanding requirements of technical systems for live performance, and the interaction that happens through the plaster line, and behind the scenes. These often behind the scenes systems include structured IT cabling, paging/intercom, mass notification, duress alarm, clocks, video surveillance, access control, and intrusion detection/alarm systems. We integrate these systems to fit seamlessly into every project. Our CxA certified commissioning agents work on everything from schools to historical renovations, ensuring the intertwined and complex building systems are on-line, operational and working like they should.